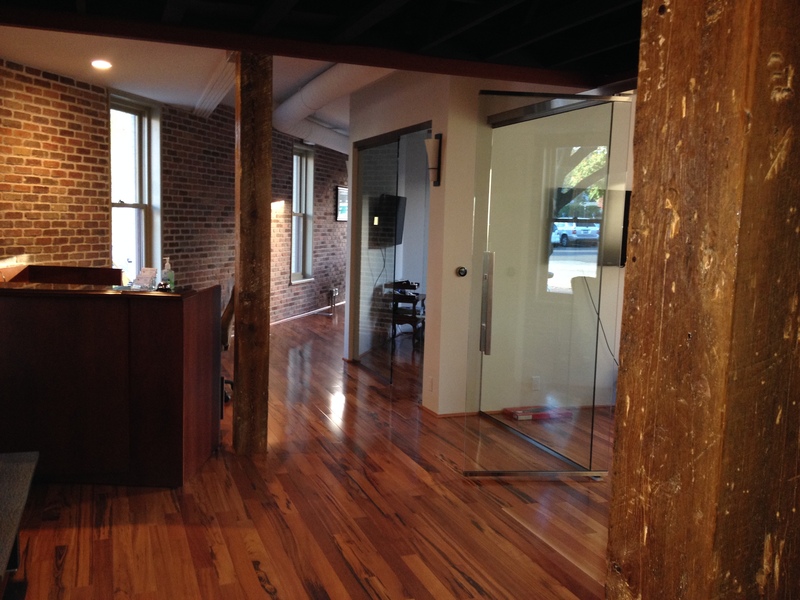 We are located in the Flatiron Building in the heart of the Kerrytown Historic District. We’re at the corner of Fifth and Detroit streets, where the brick roads meet. Located between the Huron River and Downtown Ann Arbor, our neighborhood is known for its farmers market, specialty shops, delicatessens, concert house, and restaurants. Nearby is the University of Michigan campus and the downtown business district. We invite you to a complimentary consultation in our 1901 brick building. In keeping with our commitment to historic preservation, we undertook a complete restoration of the structure in 2013. Inside you'll see that our office is open, comfortable, and retains the best elements of the prior century.